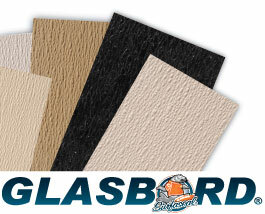 Made of fiberglass reinforced plastic (FRP), Glasbord with Surfaseal is extremely moisture-resistant and non-porous. The Surfaseal film finish, found only on Glasbord, provides a barrier that’s highly resistant to impact and scratching. Because of it’s unique process, the Surfaseal finish will not trap soil or bacteria on the panel. 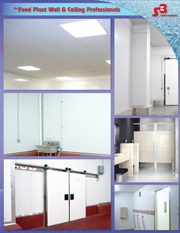 The surface is up to 10 times easier to clean and up to six times more stain resistant than other sanitary wall systems. The sturdy panels, which come in both pebbled and smooth textures, hold up under frequent maintenance cycles, and proven performance at an affordable price point with a 10-year limited warranty. We believe all information given is accurate. It is offered in good faith, but without guarantee. Since conditions of use are beyond our control, all risks are assumed by the user. Nothing herein shall be construed as a recommendation for uses which infringe on valid patents or as extending a license under valid patents. The numerical flame spread and smoke development ratings are not intended to reflect hazards presented by Crane Composites products or any other material under actual fire conditions. These ratings are determined by small-scale tests conducted by Underwriters Laboratories and other independent testing facilities using the American Society for Testing and Materials E-84 test standard (commonly referred to as the “Tunnel Test”). CRANE COMPOSITES PROVIDES THESE RATINGS FOR MATERIAL COMPARISON PURPOSES ONLY. Like other organic building materials (e.g. wood), panels made of fiberglass reinforced plastic resins will burn. When ignited, frp may produce dense smoke very rapidly. All smoke is toxic. Fire safety requires proper design of facilities and fire suppression systems, as well as precautions during construction and occupancy. 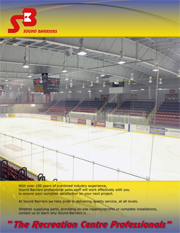 Local codes, insurance requirements and any special needs of the product user will determine the correct fire-rated interior finish and fire suppression system necessary for a specific installation.